Please help out if at all possible; let me know if you can come so we can coordinate logistics and make lunch plans accordingly. Visible Tuesday is a great way to get the Club's name out in the community and recruit new members. In the past, we've made good connections through the Recycle for Sight eyeglasses program on display at our tent. People in the community really KNOW this program and WANT to contribute used eyeglasses and, in the process, find out from us about Lionism and all the other things we do as well. And the high temperature on Tuesday will be 71 degrees - great day to be outside! Save the date - May 14 for our speaker Mayor Hancock. The school was out and the student doctor was in – as was the ophthalmologist, the dentist, the pharmacist and others in the health field. The Urban Underserved Track (UUT) at the CU School of Medicine held its second health fair in partnership with the Spring Institute for Intercultural Learning and the Lions Club at the New America School in Denver, providing mostly immigrant students and their communities free health and vision screenings after the bell and before bedtime. Denver Lion Dr Bateman remains involved with the Pan American Organization of Ophthalmologists. She is a past president. LCIF supports the PAAO and has a liaison to their board. At the recent meeting in Cancun Lion Dr. Bateman was recognized for her continued work for the PAAO. She still remembers the Colorado/Wyoming Lions as her friends. Established in 1983, the Pan-American Medal for Distinguished Services Award is presented at Pan-American congresses to individuals who have provided exemplary service to the Pan-American Association of Ophthalmology for continuing education for ophthalmologists, the prevention of blindness and the promotion of scientific and cultural exchange among ophthalmologists in the Western Hemisphere. The name change took place in 1999 to honor A. Edward Maumenee, MD, for his extensive contribution to the Pan-American cause, making the award to be the A. Edward Maumenee Award for Distinguished Services. 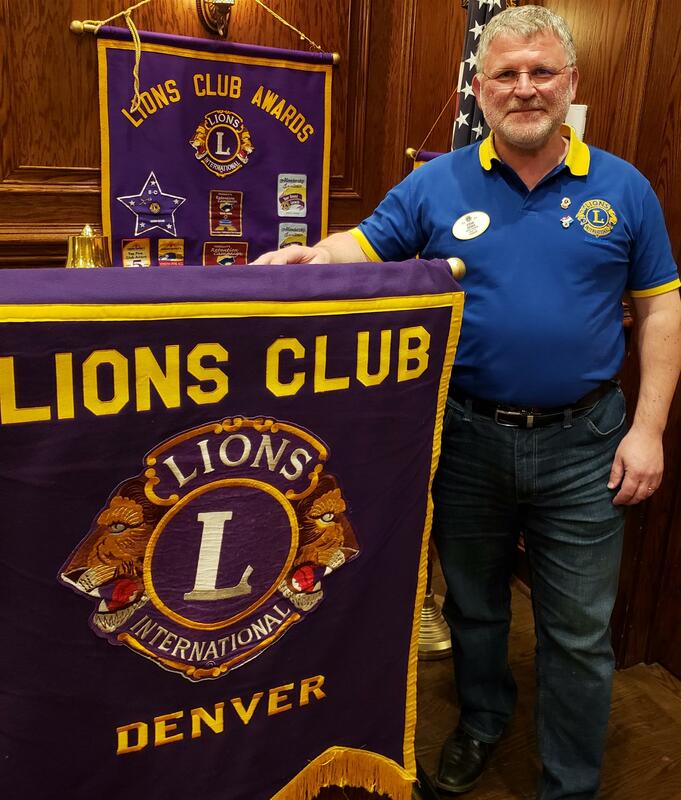 At the Denver Lions meeting, we had a special international guest. Stefan Chorus, District Governor, from Lions Club in Luxembourg joined us. He was in Denver for a data archiving conference. His Club is large with about 70 members. His Club has the same successes and challenges as ours. We were all pleased that Stefan took time from his busy schedule to attend our meeting.